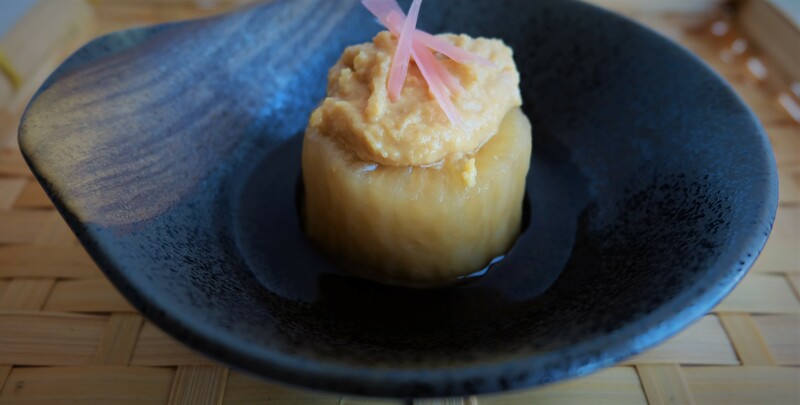 As a follow up to my Daikon no Nimono 大根の煮物 recipe, this is an extremely popular Kyoto dish called Furofuki Daikon ふろふき大根. 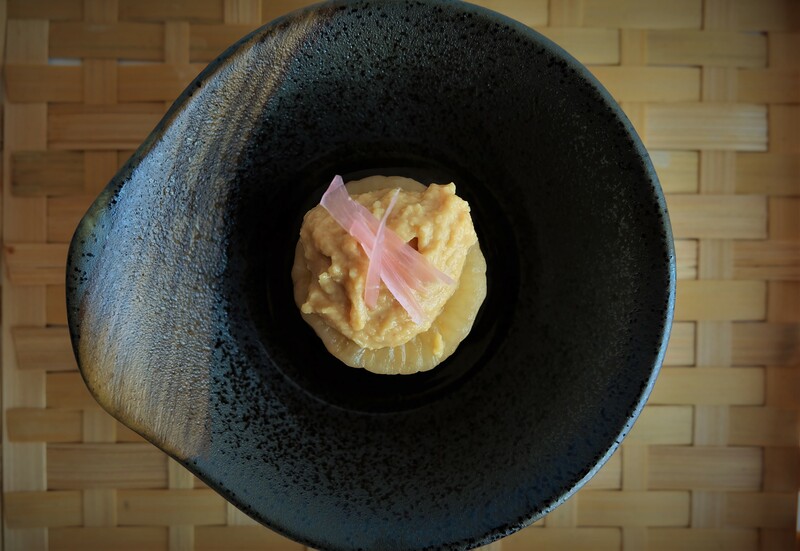 There are many variations of course, and the difference lies in the miso sauce. One comment about daikons: the bigger they are, the older they are. The older they are, the more sinewy they get. Braising it for a long time will soften it but will not get rid of the sinews. So I prefer to use medium (hence younger) sized daikons. Smaller ones are even better but they are not as strong in taste and may not be as big. 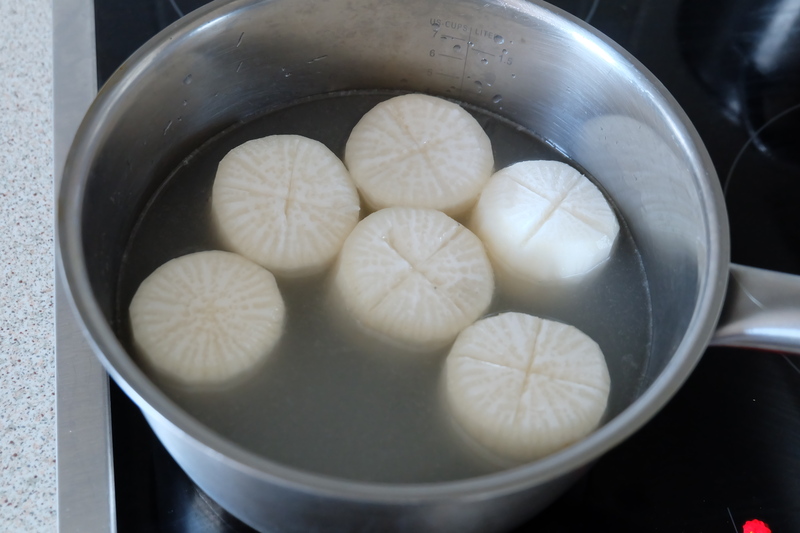 Many Furofuki Daikon ふろふき大根 recipes call for white miso. It seems to be a Western thing to divide miso pastes into “white“, “yellow“, “red” and “brown“. 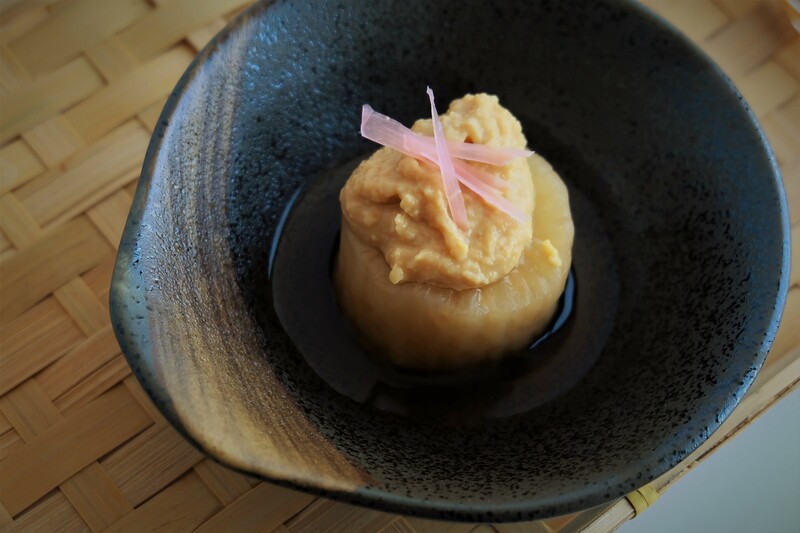 To be honest, I think there as as many variations of miso as there are kimchi, and depending on the region they can taste very unique. But in general, “white” – beige in reality – refers to the amount of rice and barley present. The higher the rice content, the lighter the colour. Lighter-coloured misos are great for soups while darker ones are great for sauces. It really depends on the recipe and your personal preferences. 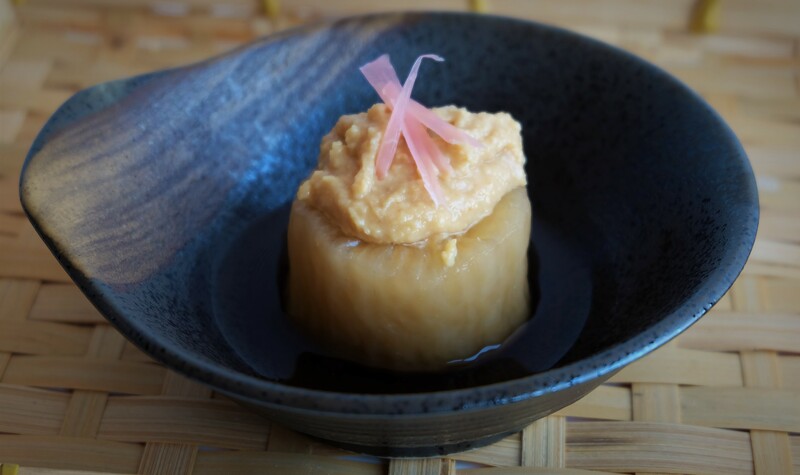 If you type the Japanese name of this recipe ふろふき大根 in a search, you’ll see that on Japanese websites, ふろふき大根 does not always come with a white miso sauce, contrary to English-language websites. 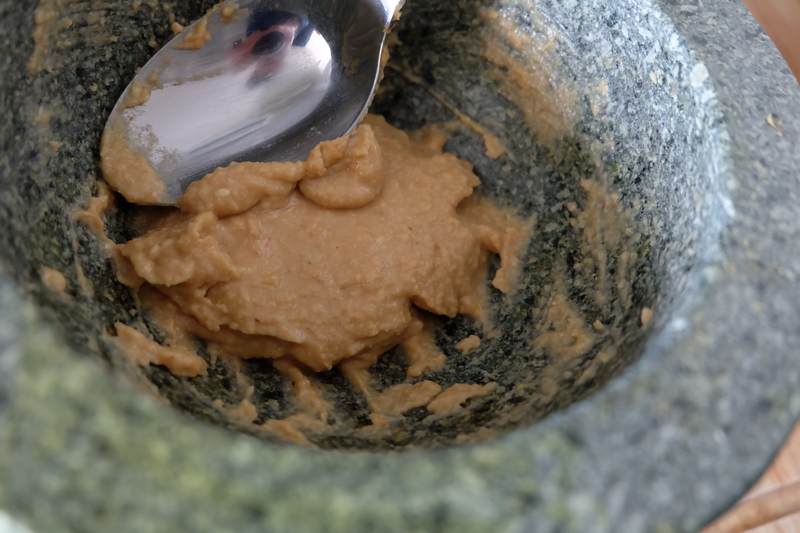 So please feel free to use a darker miso paste if you like. But whatever you do, stick to Japanese miso, as in general, Japanese misos are subtler than Korean and Chinese ones. 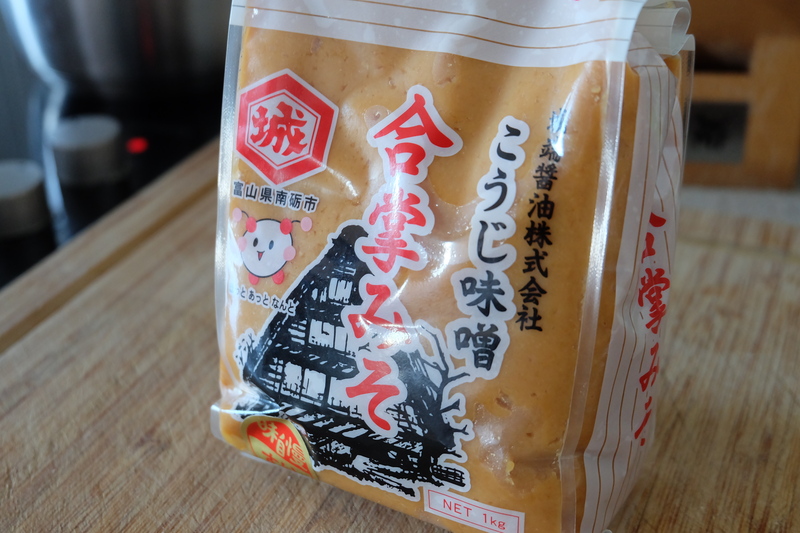 I use my light miso paste which I brought back from my trip to Japan’s most remote village, Ainokura 相倉. Use half the daikon (keep the other half in the fridge). 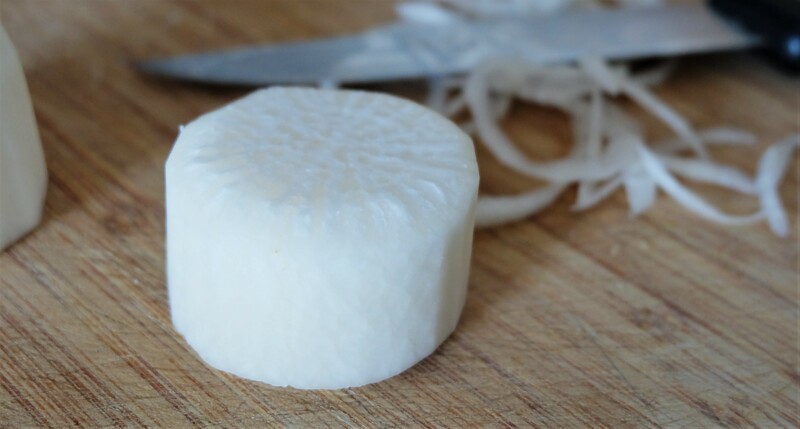 Peel the daikon and cut it into 4cm high slices. Trim the top and bottom edges (to prevent splitting during cooking), and cut a very shallow X incision on both sides if desired. 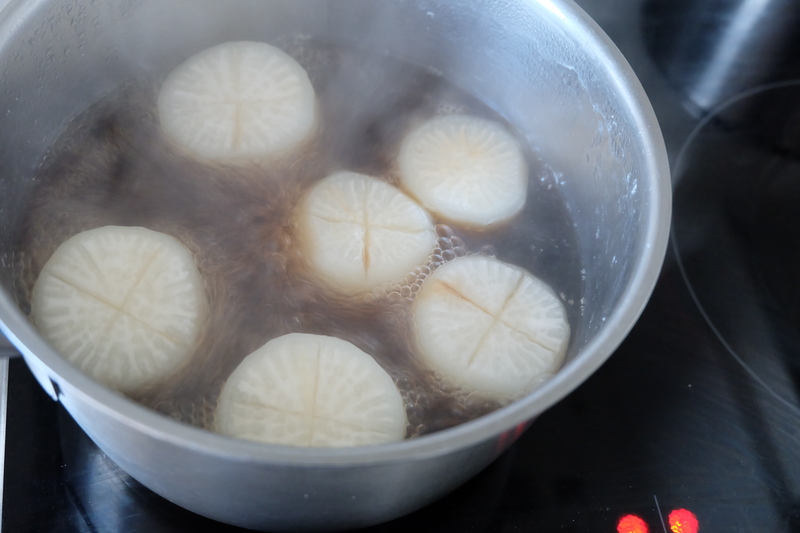 Using the leftover water that you used to rinse rice, slowly simmer the daikon in a pot over 25 minutes on low heat. Rice water helps to get rid of the strong daikon smell that many non-East Asians do not like (but I do). Once the daikon becomes a little but translucent, it is ready. Drain the daikon, put them back into the pot and fill enough water to just submerge them. Add in some soy sauce, bring to boil then let it simmer on low heat for another 20 minutes. Once you can punch a hole very easily into the daikon with a toothpick, then it is ready. 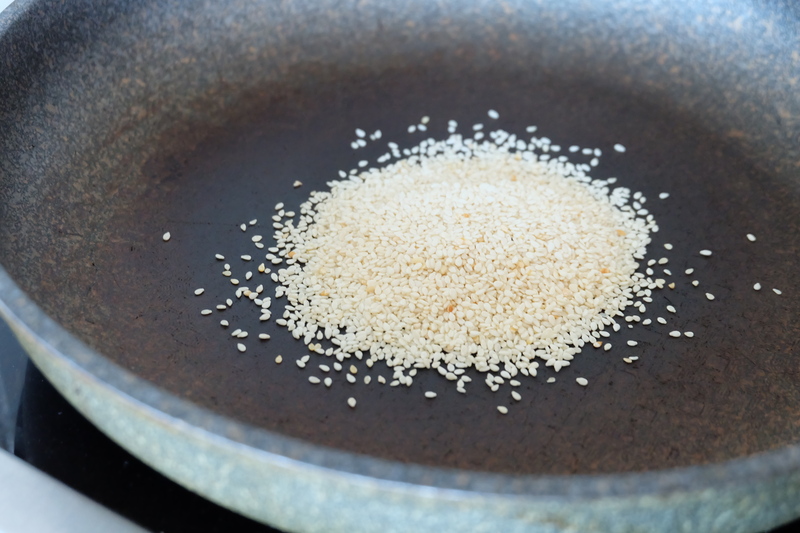 In a dry pan on low heat, lightly grill your sesame seed until light brown, constantly stirring to prevent burning. Oil will ooze from the seeds and cook it, this will create a very nice fragrance that makes this dish so famous. 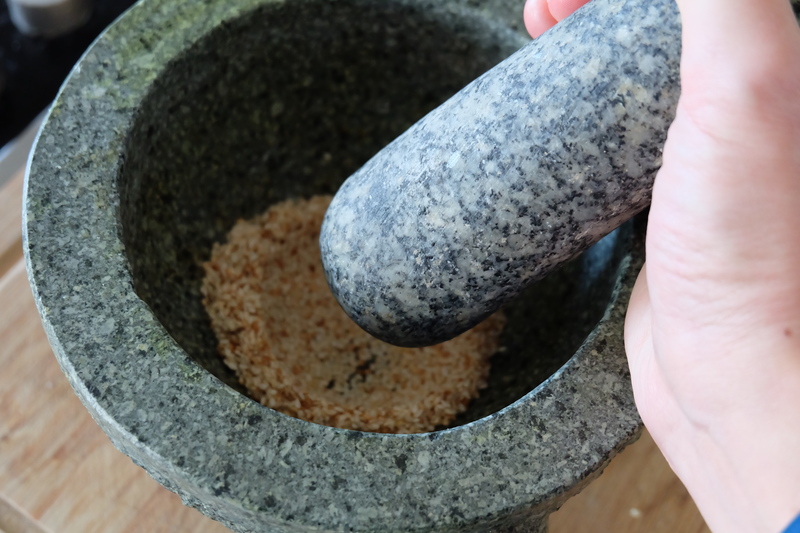 Pour your grilled sesame seeds into a mortar and grind it into a smooth paste. 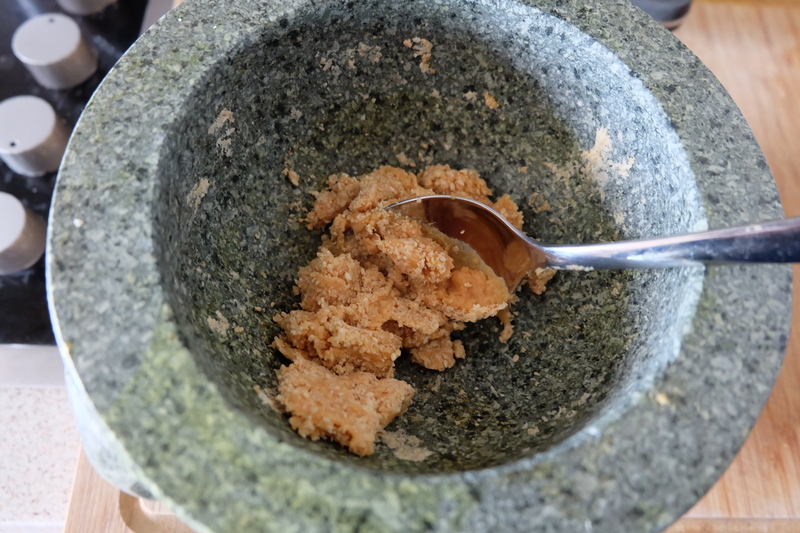 Add two tablespoons of miso paste and mix both well. Add a very little bit (one teaspoon) of water so that it mixes easily. Create a sauce consistency that is not too thick nor fluid. 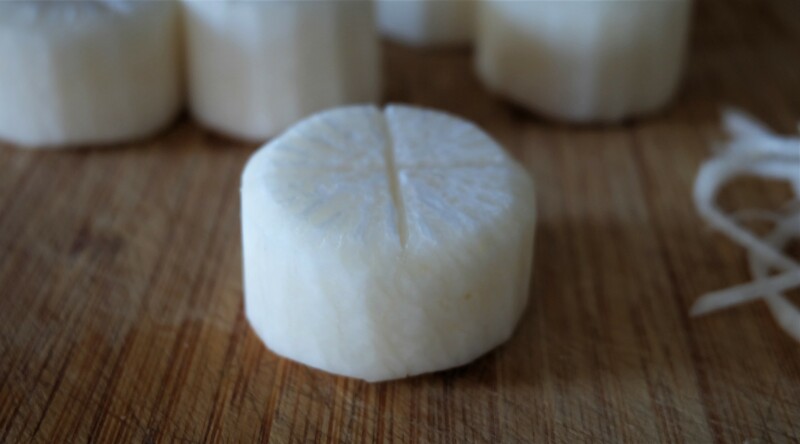 Place your cooked daikon in a serving plate, you do not have to add its cooking liquid for this dish. 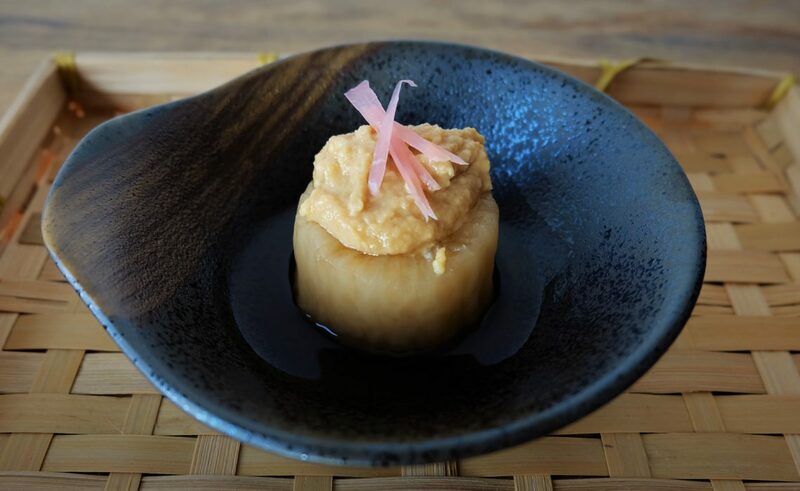 Pour one tablespoon (or two) of your sesame miso sauce onto the daikon, garnish with julianed pickled daikon or ginger. Serve warm.